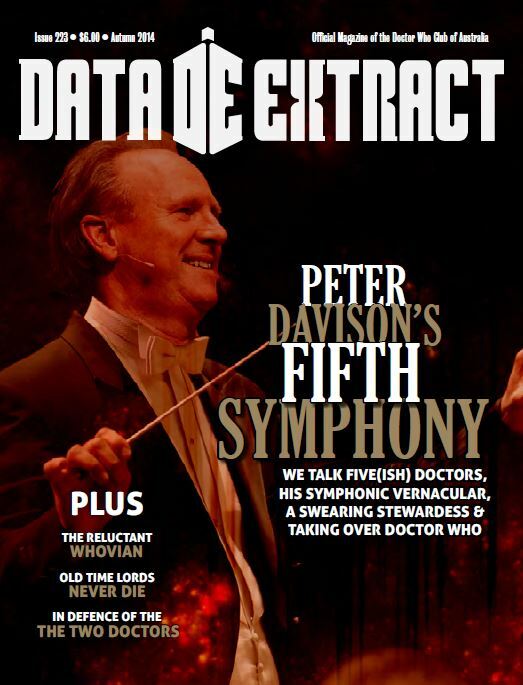 This issue features an exclusive interview with Peter Davison discussing his writing, directing, hosting the Symphonic Spectacular and taking part in Doctor Who’s 50th anniversary. The secret origin of the Doctor is revealed in a story by John J Lodge, illustrated by Sandi Stockwell. Four fans discuss the 50th anniversary in A Little Perspective, while Jamie Boyd defends The Two Doctors in The Doctor’s Advocate and Craig Land counts down the top 10 Matt Smith stories.